Despite getting the boot from the electorate, it looks like the “old guard” at the NPCA is desperately trying to retain control of the organization in one form or another. Unfinished business perhaps? 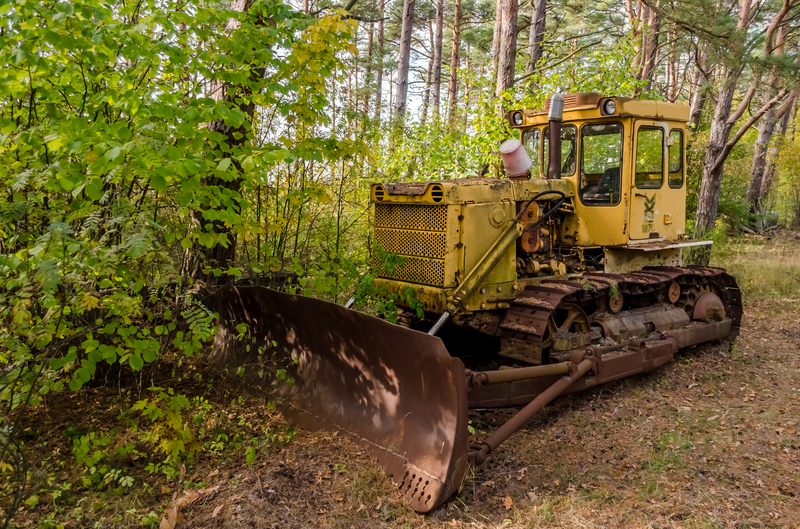 With the recent uproar over some extensive tree-cutting in NOTL to make way for a new development, A Better Niagara takes a look at how to better protect our natural environment from the ravages of development. You can read their post on Facebook here: How Do We Change This? 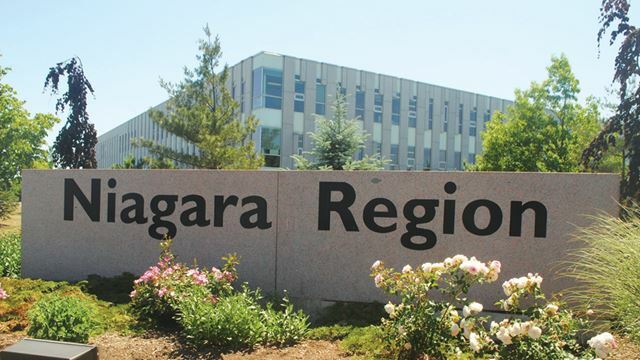 A Better Niagara recently posted a chart detailing how members of Regional Council voted on key issues of integrity in recent years. Their methodology was to evaluate what type of vote represented the best of interest of citizens on that particular issue and from that, tally up. A Better Niagara: Needs Your Support! Our good friends over at A Better Niagara posted an open letter from Ed Smith, stressing the importance of the battle for transparency and better governance in Niagara that is before us. But as with all struggles, they come with a cost. While you may be getting calls from the big parties looking for donations ahead of the June provincial election, we say that you will get more “bang for your buck” by donating to ABN and changing our local political landscape. 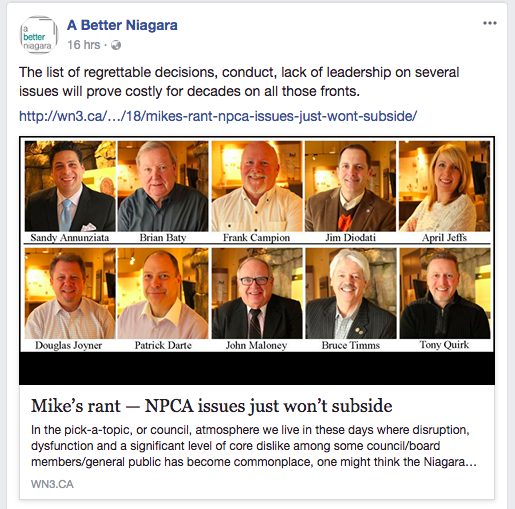 Following up on our earlier post on the Regional CAO “Back Room Dealing” as investigated by the St. Catharine’s Standard, the good folks over at A Better Niagara penned their opinion on the “investigation” that was initiated by Regional Council. 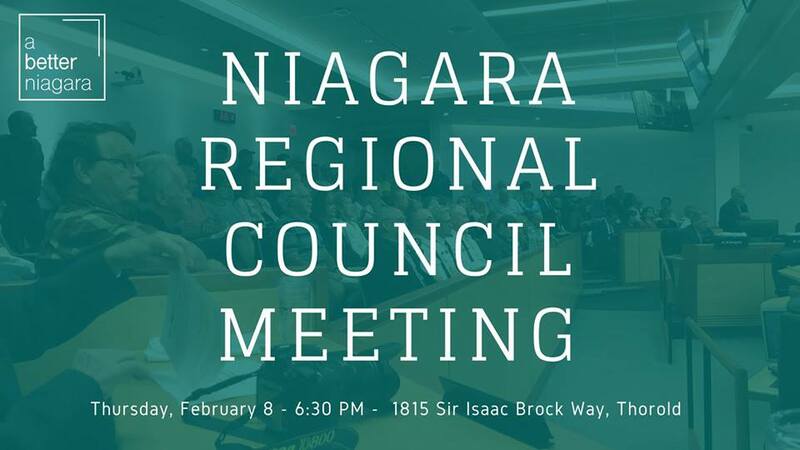 Our friends over at A Better Niagara will be hosting a citizens rally ahead of April 12th’s Regional Council Meeting. Besides the general malaise seemingly affecting Regional Council, they also want to focus on the questionable hiring of the Region’s CAO. If you are concerned about proper governance in Niagara, we encourage you to attend. You can find more information in ABN’s Facebook post by clicking this link here. If you’ve been looking forward to October’s Municipal Election… you are not alone! 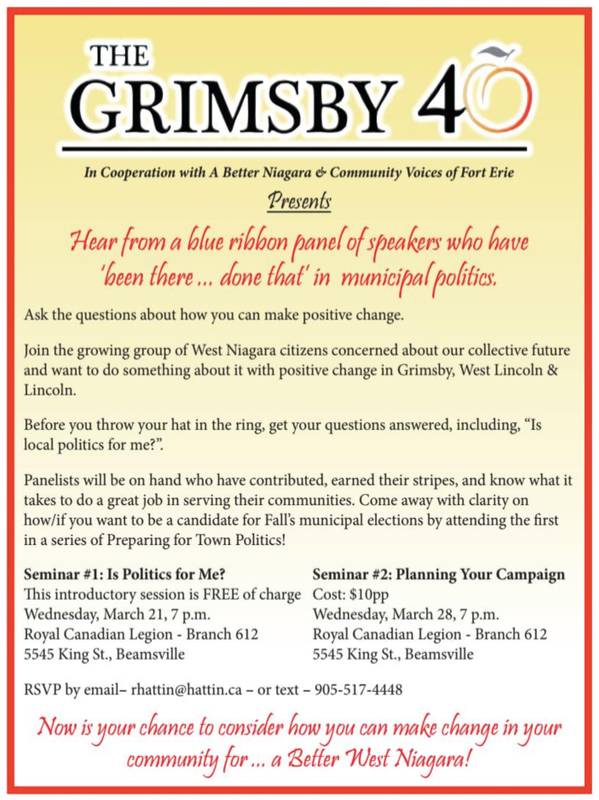 The Grimsby 40 is a collective of local residents looking to bring positive change and fresh faces to Town Council. Along with A Better Niagara and Community Voices of Fort Erie, they will be hosting a series of seminars for those who are interested in bringing change and even running in the forthcoming election. Seminar and contact details are in the above graphic. Are you thirsting for change in the Municipal and Regional government in October? Perhaps you might consider a run for a seat and bring effective change to local government. 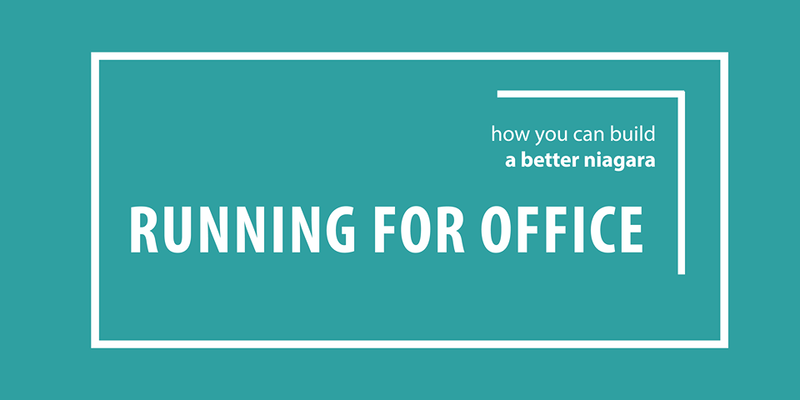 The good folks at A Better Niagara are hosting a workshop that will give you an overview of the election process and the do’s and dont’s of running a great campaign. The event will be held on March 21 from 7:00 PM to 8:30 PM at the Beamsville Legion in Grimsby, located at 5545 King Street in Grimsby. We came across an interesting digital “dust-up” between readers of the Facebook group “A Better Niagara” and Grimsby’s Regional Councillor (and NPCA member) Tony Quirk over a recent newspaper article about the NPCA.